Reading can be emotionally draining and mentally exhausting. A clean break to give my imagination and emotions a rest becomes more necessary as I read more books. Out of all my choices of possible pastimes I find colouring most effective in achieving a decent period of downtime, but have spent very little time colouring so far this year. I hope to rectify this and spend more time colouring over the summer, so watch this space. 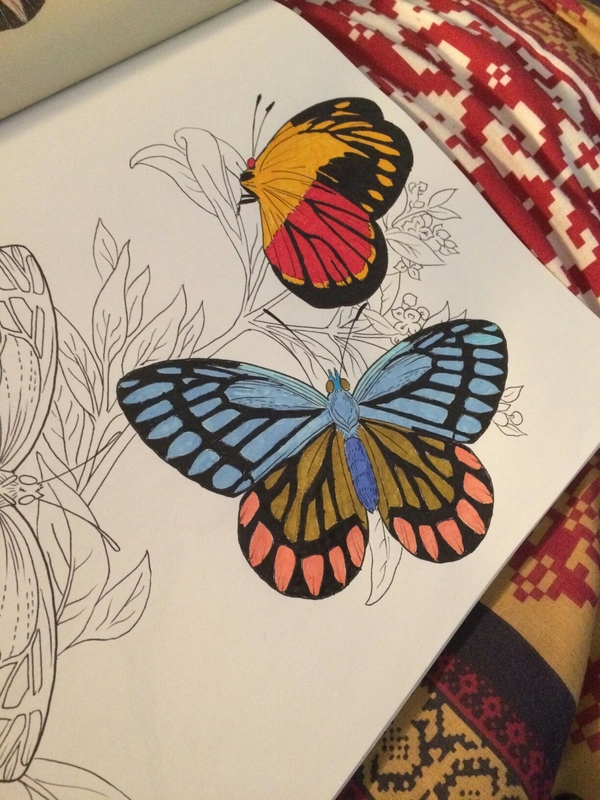 I absolutely love colouring books 😀 Do you usually use markers or colouring pencils? I’ve tried felt pens, gel pens and colouring pencils and must say I find the pens easier to work with. The pencils take more skill and I have absolutely no experience of shading. Just lovely!! I have to try felt and gel pens.